The month of September began with a blast, which created shock waves across the world. Unfortunately, it also took a $195 million Facebook satellite with it, causing all sorts of problems for the much famous entrepreneur Elon Musk. The “fast moving fire” at Cape Canaveral has cost SpaceX a lot in terms of reputation and has also rendered the company’s operations frozen for at least a year. Since then SpaceX and Musk have been busy in investigating the cause of the explosion. Musk has termed the SpaceX Accident as the ‘Most Difficult and Complex’ in Its History, and they have publicly called out for theories and ideas on the reasons behind the anomaly. While there have been several scientific analysis of the reasons of the blast, some keen hawk-eyed conspiracy theorists have devised a very interesting suggestion on the blast. 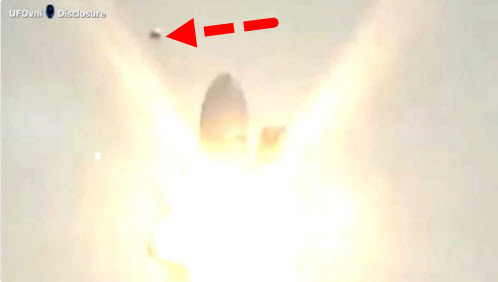 While critically reviewing the footage of the explosion some people were quick to spot a strange object hovering near the rocket. The object makes an appearance just before the explosion and disappears soon after the rocket bursts into flames. And making a “logical” jump from this, people soon started blaming the explosion on some extraterrestrial intervention, such as from a UFO or aliens. And the claims have been further strengthened by Elon Musk’s reply to a tweet that they have not ruled out this possibility from their investigation as yet. 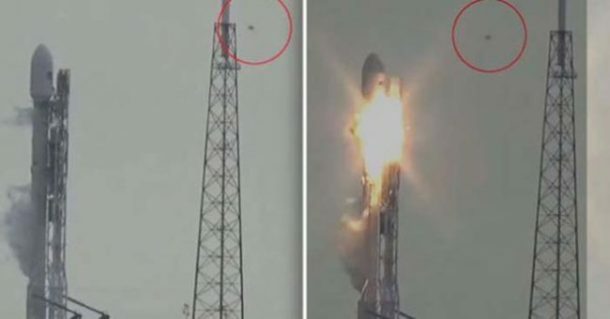 What is your opinion on the possible cause of this unfortunate SpaceX rocket failure? Let us know in the comments’ below!